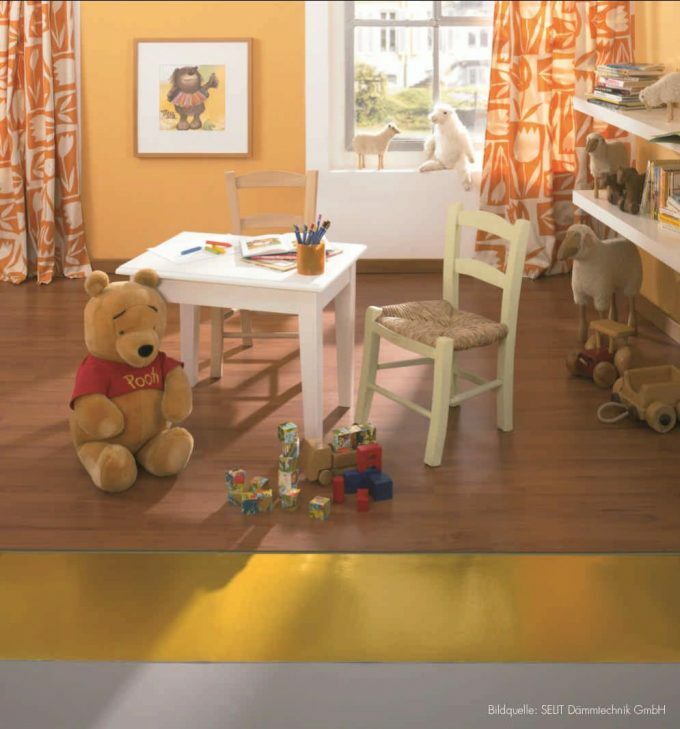 Floor covering as described in EN 16511, as well as other semi-rigid multilayer modular floor coverings for floating installation (e. g. “LVT, design flooring” etc.). Elements supplied in single sheets or tiles with worked edges that allow the product to be joint together to form a layer integral floor covering unit. Resilient layers between the substrate and floor covering, added to obtain specific properties. As underlays, it is also possible to have combinations of the above mentioned underlays with films or coatings (e.g. vapor barriers). Combination of multilayer modular floor covering element and the underlay. Structural layer on which the flooring system is installed.